*All logos, brands and product names referenced herein are the trademarks or registered trademarks of their respective holders. This site is not affliated to any of the organisations linked or described. Information below is updated at the time of writing, kindly check with respective 4D outlet for latest information.Please note that we provide latest 4D result and number analyst for your convenient .We are NOT affiliated with any 4D Operators ,companies and whatsoever that mentioned in this website. All draws are conducted at our draw auditorium which is always open to members of the public. They are conducted by Magnum officers together with members of the public who are randomly selected just before the start of each draw. Each of the 23 winning numbers is randomly drawn using see-through electromechanical drums. These drums do not require direct human contact as they are electronically controlled and operated by electromechanical motors. From the start to the finish, it is the selected members of the public that actually draw each and every one of the 23 winning numbers. By pressing a remote control button when instructed by the master of ceremony, they are the ones who activate the drums to allow one ball to be randomly captured by each drum, thereby drawing out the winning number. Please feel free to come and watch the draw proceedings at our Draw Auditorium at Magnum House, 111 Jalan Pudu, Kuala Lumpur. When are the draws conducted? Da Ma Cai draws are conducted every Wednesday, Saturday and Sunday at 7.00pm. In addition to these three standard draws a week, the Ministry of Finance (MOF) may from time to time grant the Company approval to conduct Special Draws, which are usually held on Tuesday at 7.00pm. Where are the draws conducted? Selangor Turf Club at Jalan Sungai Besi, Selangor. Penang Turf Club at Batu Gantong Road, Pulau Pinang. Perak Turf Club at Jalan Raja Dihilir, Ipoh. How are the draws conducted? Da Ma Cai draws are conducted by our Company officials together with guest officials, external auditors and public witnesses. Da Ma Cai draws are unique, whereby the main winning numbers are determined by a designated horse race. Prior to the draw, the Company designates the horse race which is then certified by the external auditors and made known to the public witnesses. The results of this designated horse race will determine the 1st, 2nd and 3rd prizes for the Damacai draw. 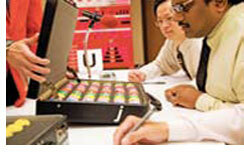 Da Ma Cai draws are conducted using five transparent electromechanical drums. The first drum, also known as the Horse Drum is marked “H” and contains the number of balls corresponding to the number of horses in the designated race. Each ball is marked with a number from “1” to “13”. The other four drums, also known as the Numbers Drums are marked “1+”, “2”, “3” and “4” respectively and contain 10 balls each from “0” to “9”. The numbers drawn simultaneously from these four Numbers Drums shall constitute the winning numbers for the Da Ma Cai draw. First, 10 four-digit numbers are drawn from the four Numbers Drums to constitute the 10 consolation winning numbers. Next, 13 four-digit numbers are drawn from the four Numbers Drums in tandem with the Horse Drum to constitute the three main winning numbers and the 10 starter winning numbers, whereby each horse shall carry one four-digit number drawn. Any four-digit number not assigned to a horse shall automatically become a starter prize. The three main winning numbers are determined by the results of the designated horse race, whereby the four-digit number drawn and carried by the winning horse in the designated race shall constitute the 1st Prize, whereas the four-digit number drawn and carried by the horse in the second place and third place in the designated race shall constitute the 2nd Prize and 3rd Prize respectively for the Da Ma Cai draw. The remaining four-digit numbers drawn shall constitute the starter prizes. The winning numbers for the 3D Game will be determined by the last three digits of the top three 1+3D winning numbers. The results for the 1+3D Jackpot Game and 3D Jackpot Game and DMC Jackpot Game are based on the results drawn for the 1+3D Game and 3D Game respectively. Apart from the participation of public, Da Ma Cai draws are conducted in the presence of external auditors to ensure that the draw process complies with established procedures. Da Ma Cai draw proceedings are video-taped and the recordings are reviewed to ensure that Da Ma Cai draws are conducted with the highest standards of transparency and integrity without any compromise in security. Toto draws are conducted three (3) times a week, i.e. every Wednesday, Saturday and Sunday for its digit games (Toto 4D, Toto 4D Jackpot, Toto 5D, Toto 6D) and lotto games (Power Toto 6/55, Supreme Toto 6/58 and Grand Toto 6/63). 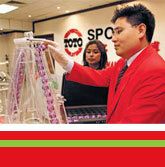 Toto draws are held at the company’s draw venue located at Level 13, Berjaya Times Square, Kuala Lumpur. It commences at 7.00pm and is conducted in full view of the public. Due to regulations, admission is only granted to non-Muslims above 21 years of age. Members of the public who are above 21 years of age, non-Muslim and are of good character are invited to sit as the Panel of Judges. This panel comprises of three (3) members, one (1) of whom shall be the Chairman. They are responsible for witnessing and verifying the winning numbers drawn for the respective games. They also serve as an independent party that ensures the draw is conducted in a fair and transparent manner. The public are also invited to participate as drawees in the draw. Similarly, they must be above 21 years of age, non-Muslim and of good character. Five (5) persons will be selected. They will select the marble bags that will be used for the draw. These marbles will then be loaded into the draw machines by an independent observer witnessed by the Chairman of the Panel of Judges. These drawees will also be called upon to draw the winning numbers for the respective digit and lotto games.Toto draws employ the use of pneumatic draw machines which have transparent tubes, chambers and body thus allowing a transparent view of the entire loading, mixing and selection process. Toto draw commences with the digit games (Toto 4D, Toto 4D Jackpot, Toto 5D and then Toto 6D) followed by the lotto games (Power Toto 6/55, Supreme Toto 6/58 and then Grand Toto 6/63). The winning numbers drawn for the Toto 4D game are also used to determine the winning combinations for the Toto 4D Jackpot game. The entire Toto draw proceedings are video-taped and the recordings are kept for a fixed period of time. When not in use, all Toto Draw machines, equipment, marbles and paraphernalia are kept in a secured and restricted area that is under physical and technical surveillance. Toto draws are conducted in full view of the public, by the public themselves, observed and presided over by a Panel of Judges who are also members of the public. These endeavors are aimed at ensuring that Toto Draws are conducted with the highest standards of transparency and integrity without any compromise in security. Our practices and procedures are also regularly reviewed by internal and external parties to ensure compliance with the industry’s best practices and control requirements.